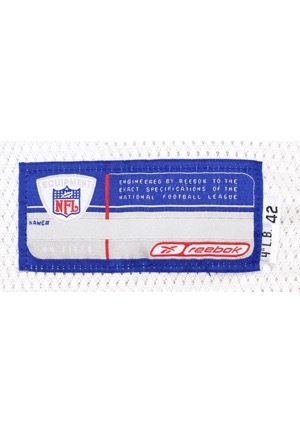 On the front left tail is the Reebok manufacturer’s tag with two attached flag tags reading the size “42” and “4” L.B.”. On the left inseam is a flag tag with jersey materials and washing instructions. In the rear neck are two strip tags reading “06-42” and “S4”. 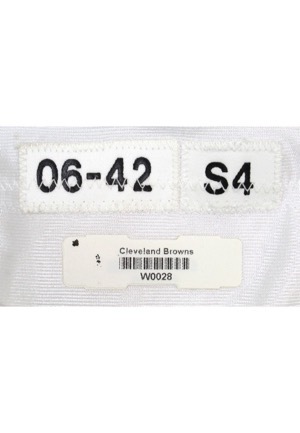 Adjacent below is a Cleveland Browns inventory barcode. On the v-neck is the official “NFL EQUIPMENT” shield logo. 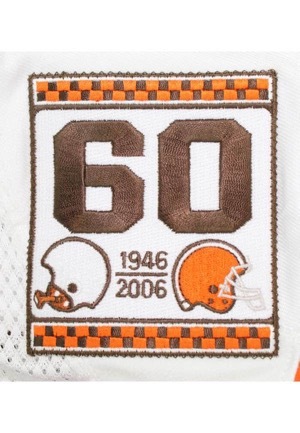 Below this reads “BROWNS” embroidered in brown. On the upper left chest is the “1946-2006 60” anniversary patch. On the left sleeve is the “AL” patch in honor of the late owner Al Lerner. 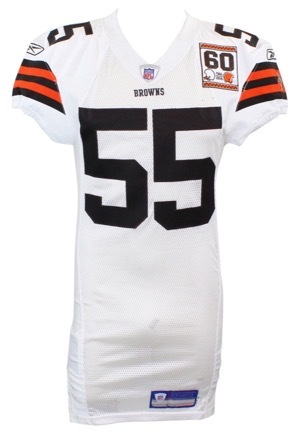 On the front, back and on both shoulders is the player number “55”. Across the back on a white nameplate is the player name “McGINEST”. 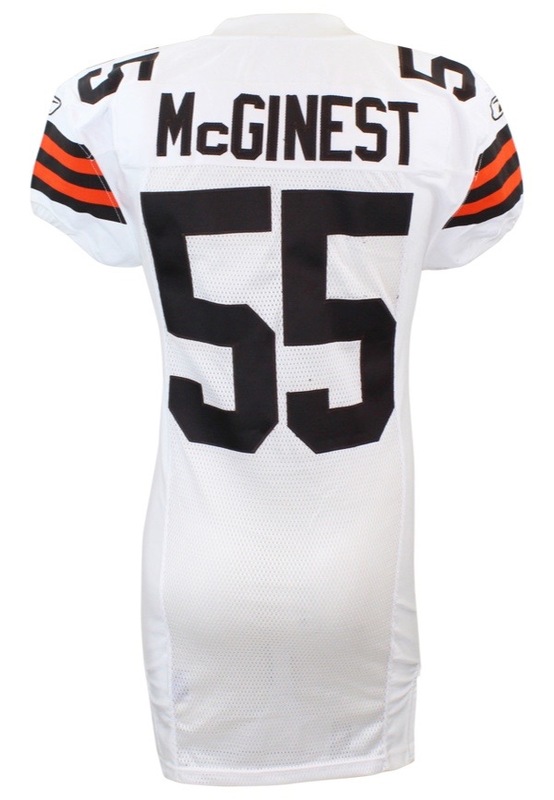 All numbering and lettering is done in the same brown tackle twill. Beneath the player numbers on the shoulders is a “Reebok” logo embroidered in brown. This jersey is properly tagged, was presented to us as game-used and in our opinion shows appropriate use.